Please enter a value between 16 and 100. Thank you for your interest in your employer LTCI plan. Your information has been submitted and an LTCI Specialist will be contacting you soon. In the meantime if you should have any questions please contact your human resources contact. • What is the risk and need for care? 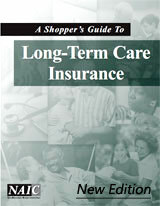 • How do long term care insurance plans work? • What are the types of plan designs that are available? • How do I qualify for coverage? What about my family members? • Why does it make sense to buy while working? • How affordable is the coverage? To help you evaluate if coverage is right for you, we have streamlined the learning process. By completing the following Plan Information Request you can obtain the facts you need to make an informed decision. A LTCI enrollment specialist will contact you to explain coverage features, benefits and plan designs available to you through your employer. In the meantime, if you would like to learn more about long term care insurance, feel free to click on the attached booklets for information on long term care insurance for you or your eligible family members. We hope you will take the opportunity to learn more about this valuable new protection.